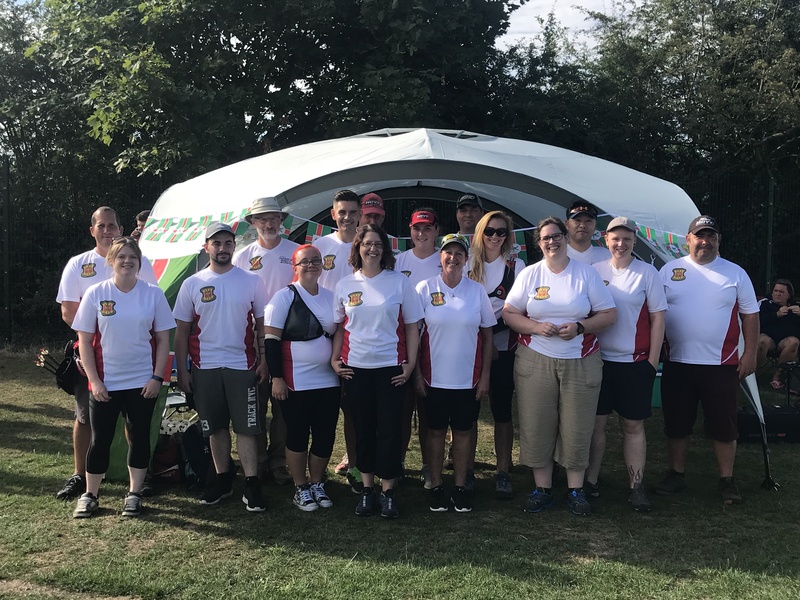 Sunday 5th August saw the combined Senior and Junior team hop across the boarder to Leicestershire to shoot a challenge match against Leicetershire & Rutland (L&RCAA) hosted by Ivanhoe Archers in Ashby de la Zouch. The senior team took an early lead and kept it up all day, with the Gents Compound and Ladies Barebow leading the way until the bitter end. 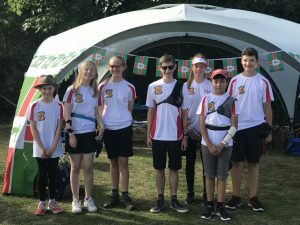 Due to illness, we had a depleated junior team of 5 archers, who did their best to try and keep the strong L&RCAA junior team, who were using thier best 5 out of 8 archers. Nigel Lane, team Scout leader, brought the new Notts Team Shelter for us all to hide out of the sun all day. 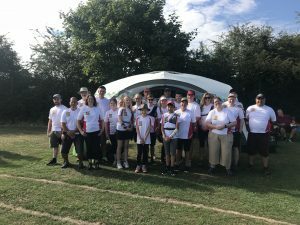 We would like to thank Ivanhoe for hosting the shoot and looking after us all day.